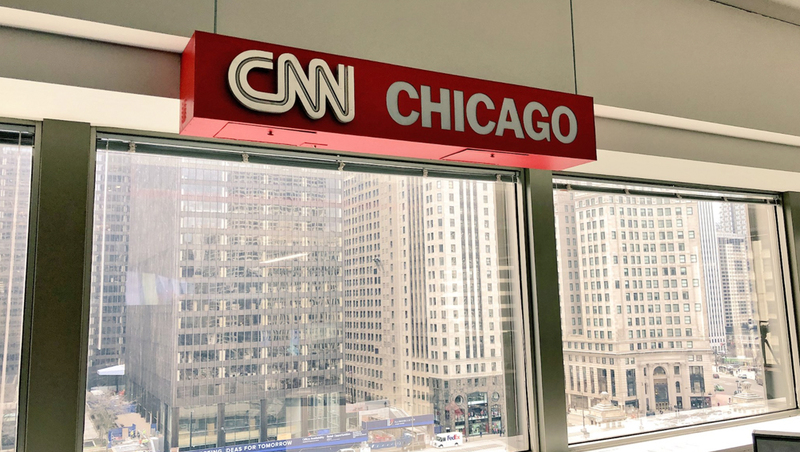 CNN has moved its offices from its longtime home in the Tribune Tower on Michigan Avenue to a building on the other side of the river overlooking Wacker Drive. The windows in the new bureau give sweeping views of the Chicago River, Riverwalk and the Wrigley Building, reports Newscast Studio. Across the river, however, is the building of CNN’s harshest critic: President Trump’s Trump Tower.